Please choose a variant first. 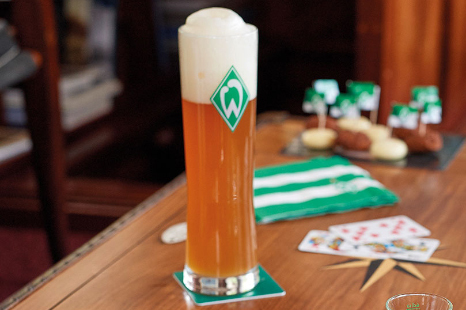 A refreshing wheat beer out of our Werder Wheat Beer Glass will taste twice as good. College style men’s shirt in white with a smart Werder motif on the front. 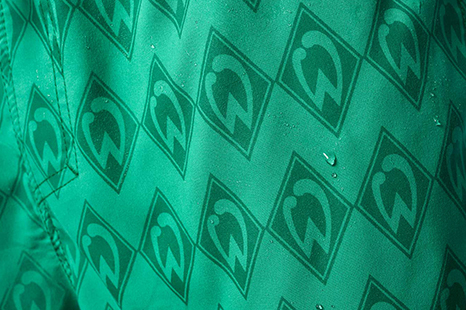 Werder Diamond logos will appear on our swim trunks when coming in contact with water! Werder bites: New spring collection! Come in and discover a huge range on two floors and get advised by one of our competent staff members. Discover more exciting products in our assortment! Welcome to our SV Werder Bremen Online-Shop. 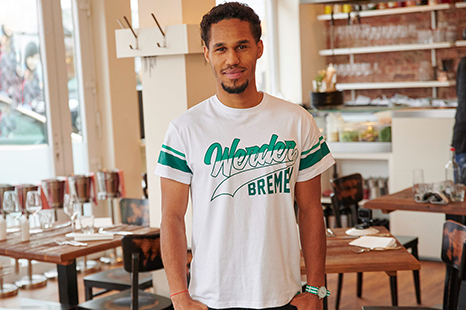 This shop provides everything the green-white heart is seeking - the original Werder jersey 2018/19 as well as further selected fan products. You can get scarves, flags, shirts, jackets or polo shirts for the next home match in the Weser stadium. For Werder toddlers and babies suitable clothes such as rompers, bibs and soothers are available, too. Children can choose matching items for school e.g. small pencil cases, gym bags or spiral note pads. Selected items for your home and on the road are also part of our product line: mugs, glassware, party equipment, towels, shower gel, stickers for your car, flags, pennants, DVDs or calendars. Our accessoires such as bags, pins, keyring pendants or mobil phone equipment will surely not only please women.